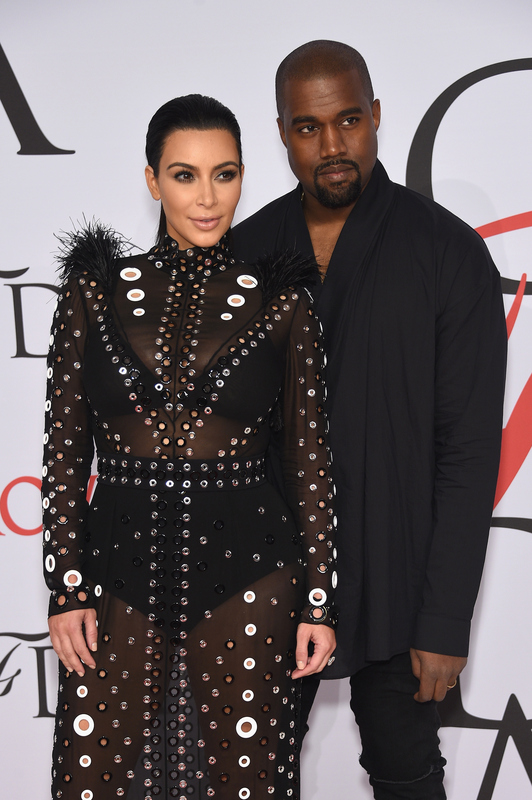 Kimye is undoubtedly one of the most fashionable couples on the planet, each rocking a totally unique sense of style. But it turns out, even though their taste in clothing may wildly differ, that didn't stop Kim K from borrowing one of Kanye's t-shirts during her most recent trip to Paris. It must be hard for a couple as busy as they are to keep in touch, let alone actually manage to spend a few minutes alone in the same room together. But Kardashian has devised a whole new way to keep her man on her mind. The reality superstar posted a selfie to Instagram yesterday where she sported a Givenchy t-shirt emblazoned with her husband's fanged face. While this tee may just look like a loving tribute to Kanye, allowing her to bring him along wherever she goes, it actually is Kanye's very own t-shirt. The rapper had it made by Riccardo Tisci, Givenchy's Creative Director, especially for his Watch The Throne tour and wore it during almost every performance. As though Kim K wearing this ode to her husband in Paris wasn't cute enough, she actually rocked it while prepping for a "late night photo shoot" with Tisci. Perhaps she was sporting the top as a good luck charm because she's nervous about becoming the face of Givenchy's new campaign?! In any case, even if my speculation about what this mysterious photo shoot could be for is way off base, Kimye is totally redefining #shipgoals.